Rapper 21 Savage attends an event related to his new album, I Am > I Was, in Atlanta. The rapper, whose real name is Sha Yaa Bin Abraham-Joseph, was arrested Sunday by U.S. Immigration and Customs Enforcement. The news has come as a surprise to fans, who assumed the rapper was from Atlanta, as he has often talked about his tough childhood in the city's Eastside. 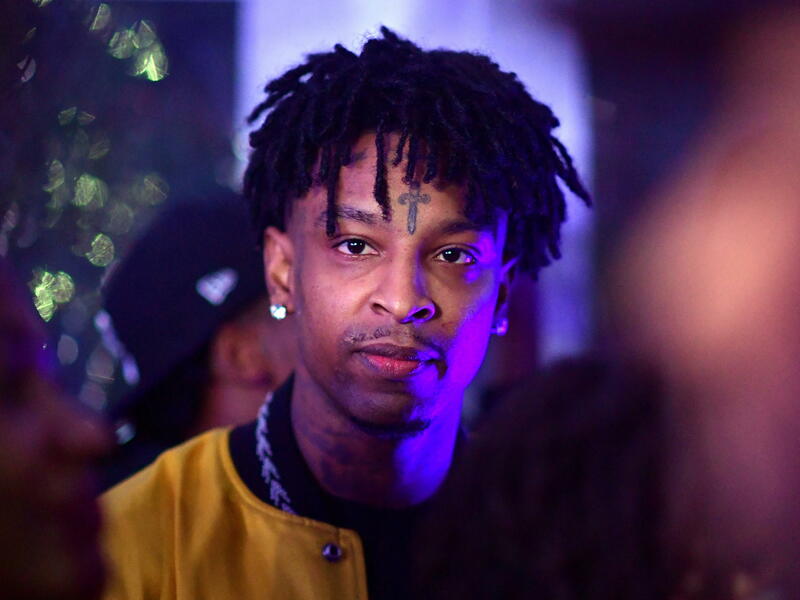 As The Atlanta Journal Constitution put it, 21 Savage — whose real name is Sha Yaa Bin Abraham-Joseph — "has long been considered a local act." The 26-year-old first appeared on the rap scene in 2015 and has since rocketed to success. In December, he scored his first No. 1 on the Billboard charts for his latest album, I Am > I Was. It turns out he was a U.K. national who came to the U.S. as a child but then overstayed his visa, federal officials say. He was taken into custody Sunday morning during a "targeted operation" in metro Atlanta, ICE spokesman Bryan Cox said, as reported by the Associated Press. The rapper was convicted of felony drug charges in 2014, Cox said. But ICE was not aware of his immigration status at the time and only learned later, an ICE official told the Journal. According to CNN correspondent Nick Valencia, Abraham-Joseph "was in the car with another rapper who was the target of a criminal arrest." After law enforcement learned about his immigration status, Abraham-Joseph was taken into custody. His lawyer, Dina LaPolt, told the AP she has been working to get him out, saying her client is a role model to young people. As 21 Savage, Abraham-Joseph had a "commitment to telling the stories of life in Atlanta's Zone 6," Billboard wrote last month, referring to the Eastside of Atlanta. "The East Atlanta rapper has been repping the neighborhood he grew up in, and rapping about the violence and pain that he's encountered (and inflicted) since he first stepped into a recording booth." Abraham-Joseph has said the "21" in his name refers to a street gang in Decatur, Ga., CNN reported. At the time of his arrest, his Wikipedia page had said he was born in Atlanta in 1992, according to The Washington Post.